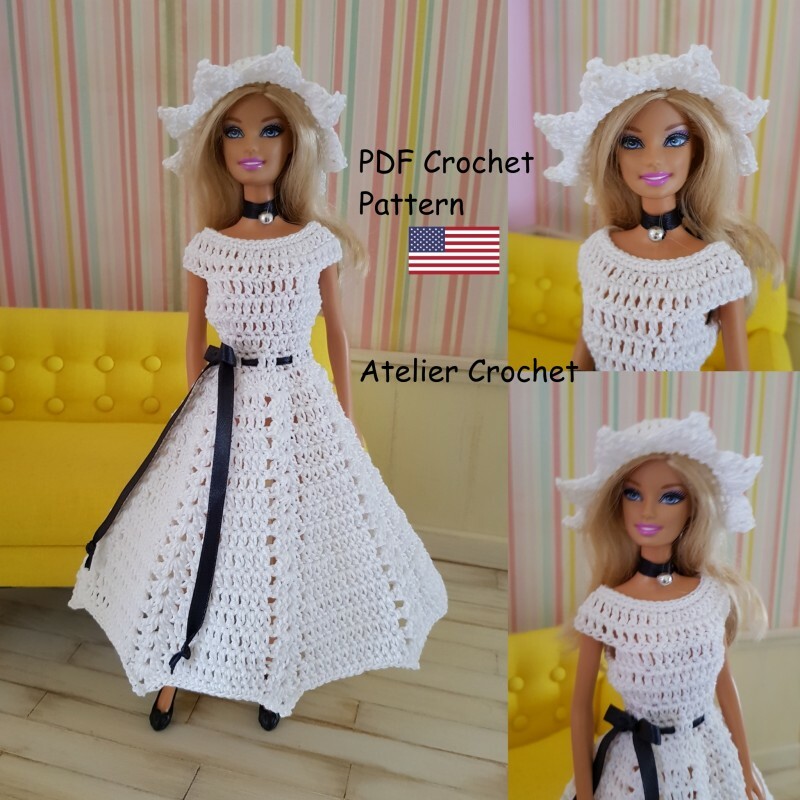 A crochet pattern for 30cm model dolls such as Barbie. You buy a pdf file with dress, hat and necklace pattern. Materials : 1 ball of white cotton yarn, (cabled 5 cotton yarn) and a size 1.75 hook, 1 small button to fasten the dress, 1 silvery bead, some black thread.